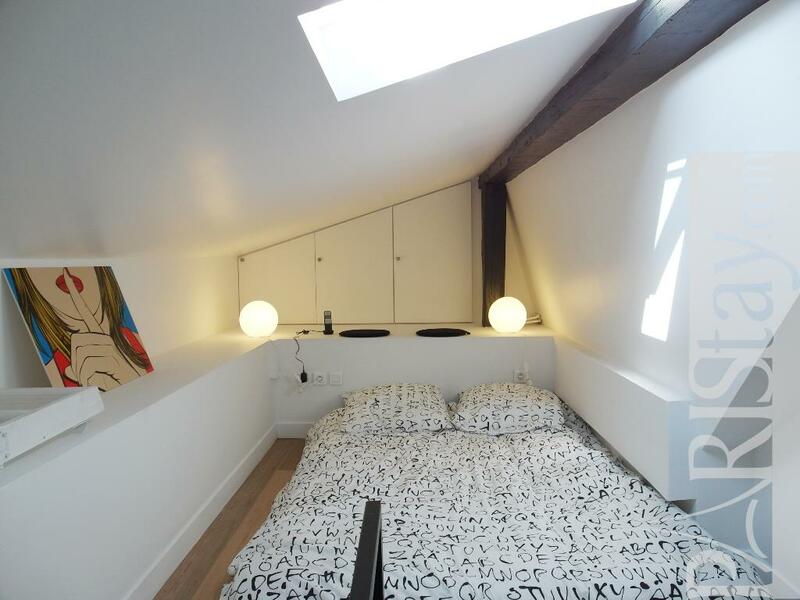 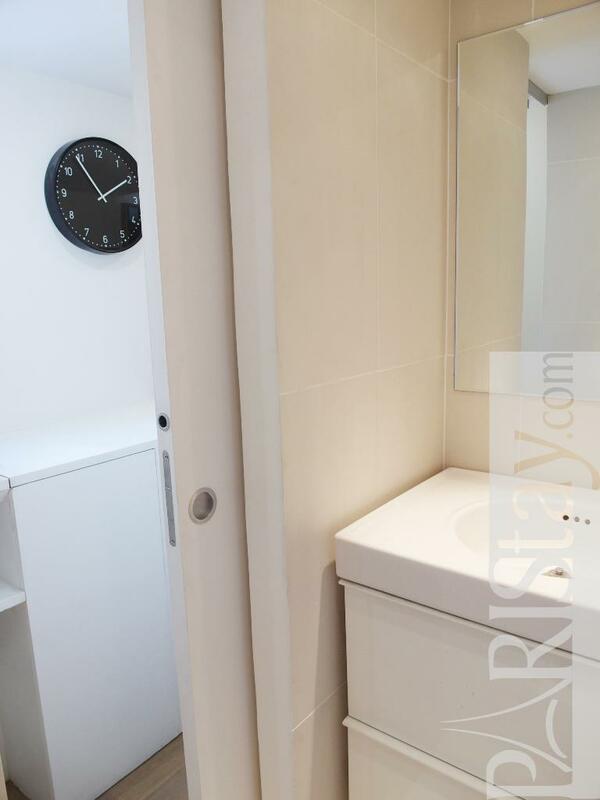 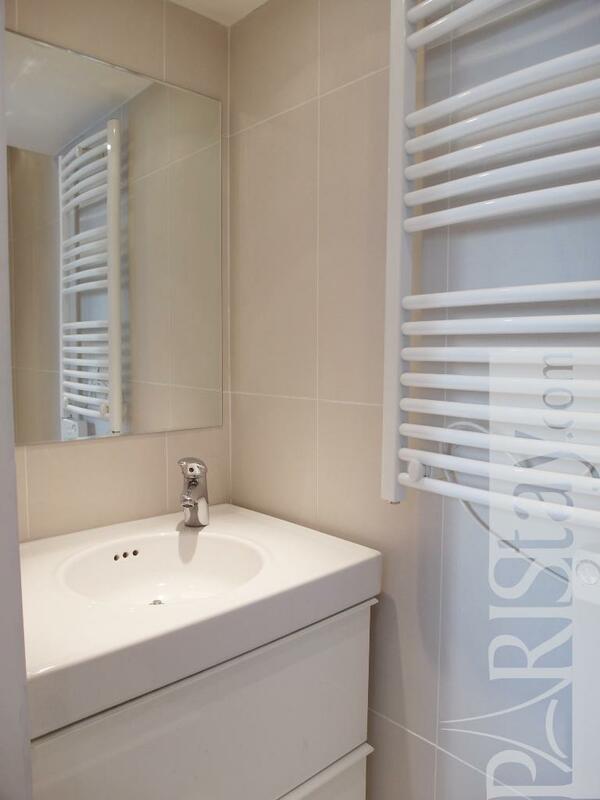 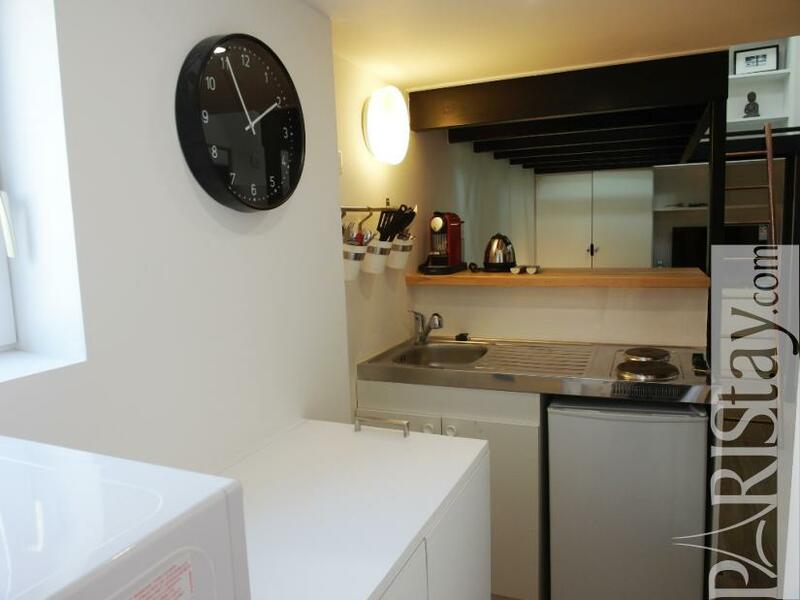 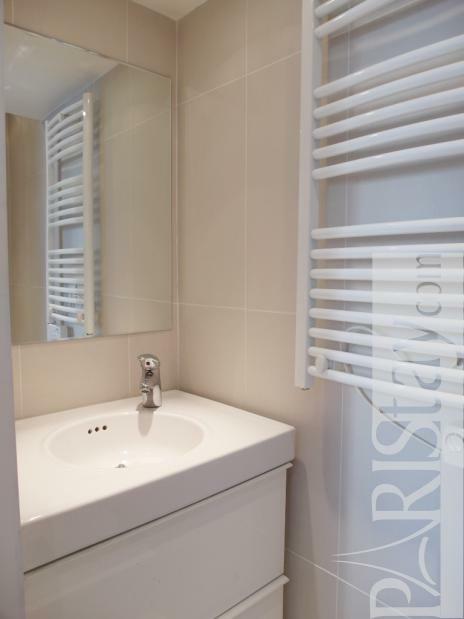 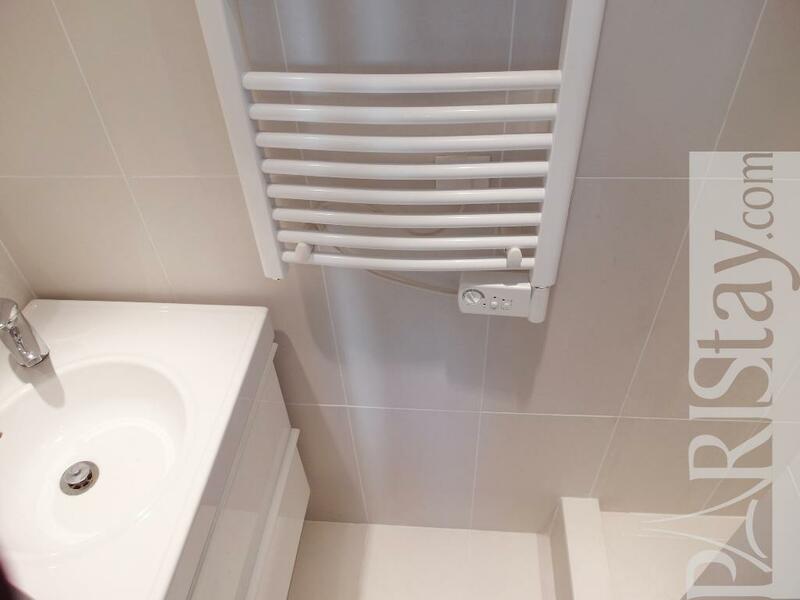 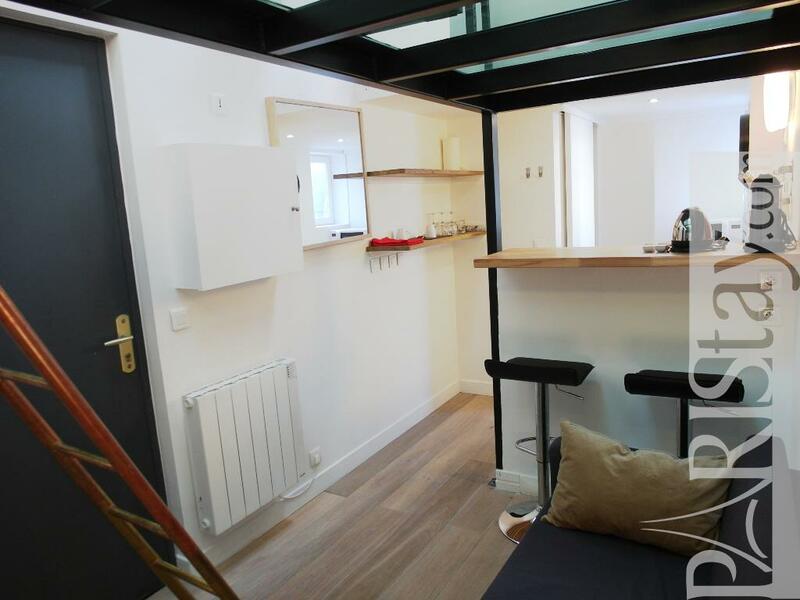 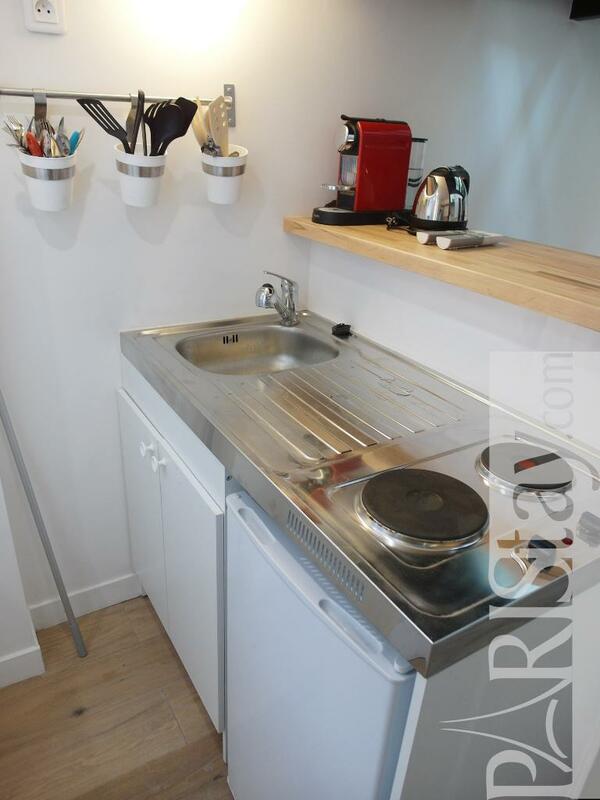 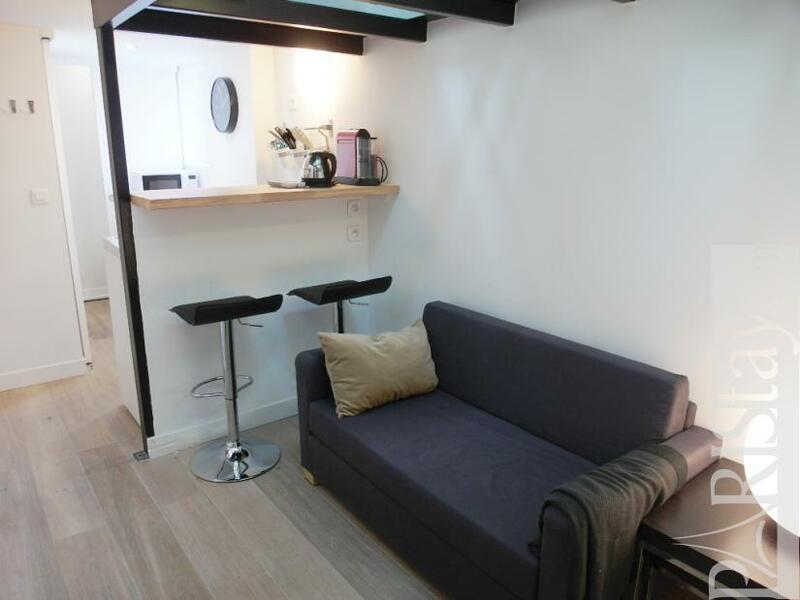 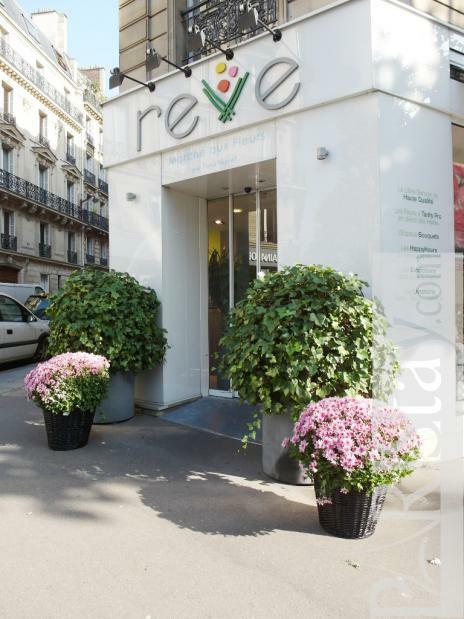 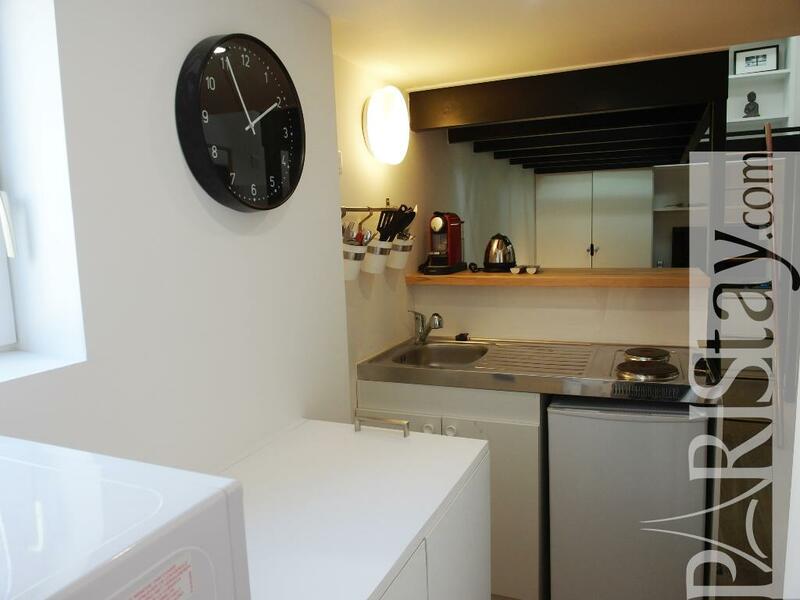 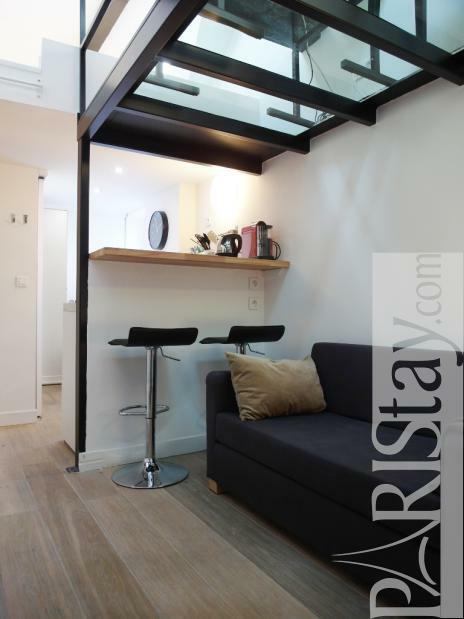 Nearby the famous, place de la Madeleine in the residential 8th arrondissement this cosy studio in Paris has been renovated during October 2012. 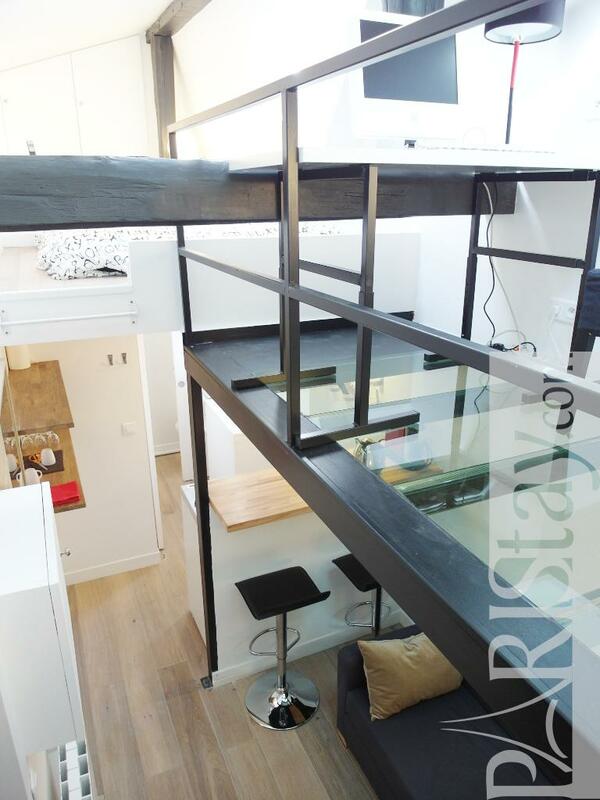 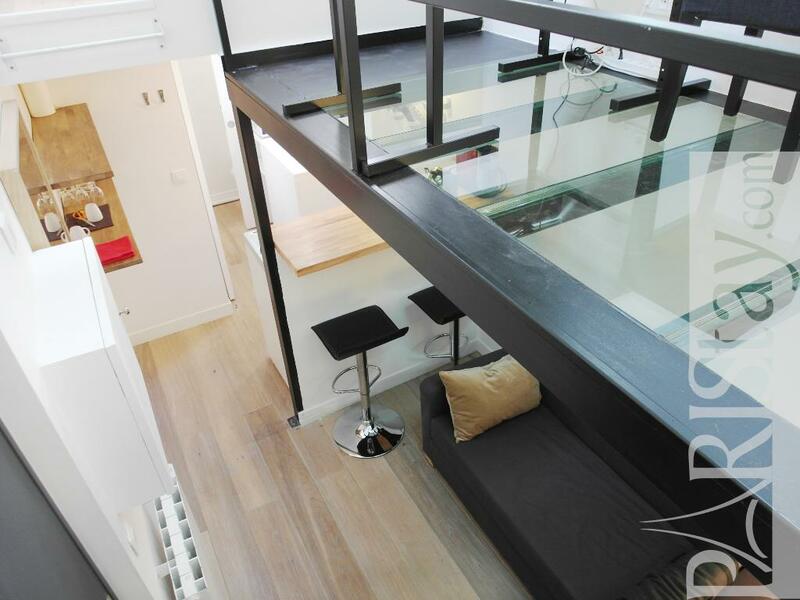 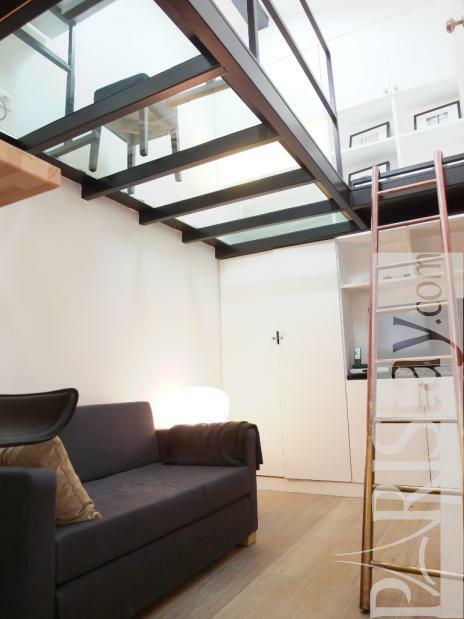 Modern design with a mix of iron, wood and glass it is fully furnished and equipped. 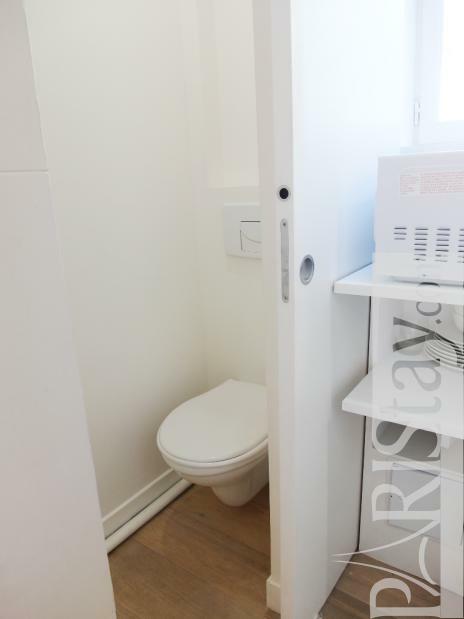 There is a separate shower room as well as a separate toilet. 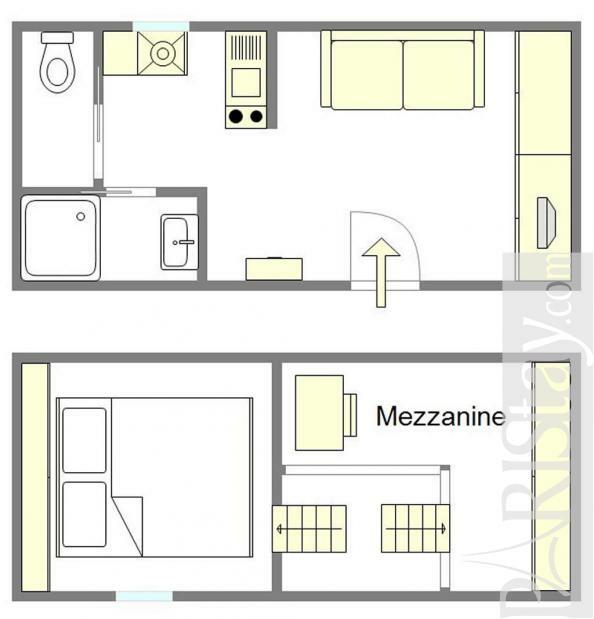 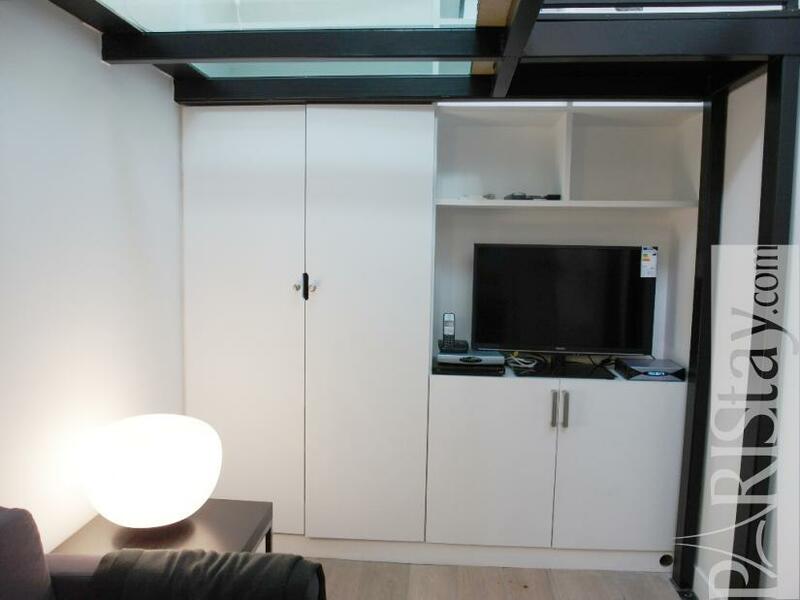 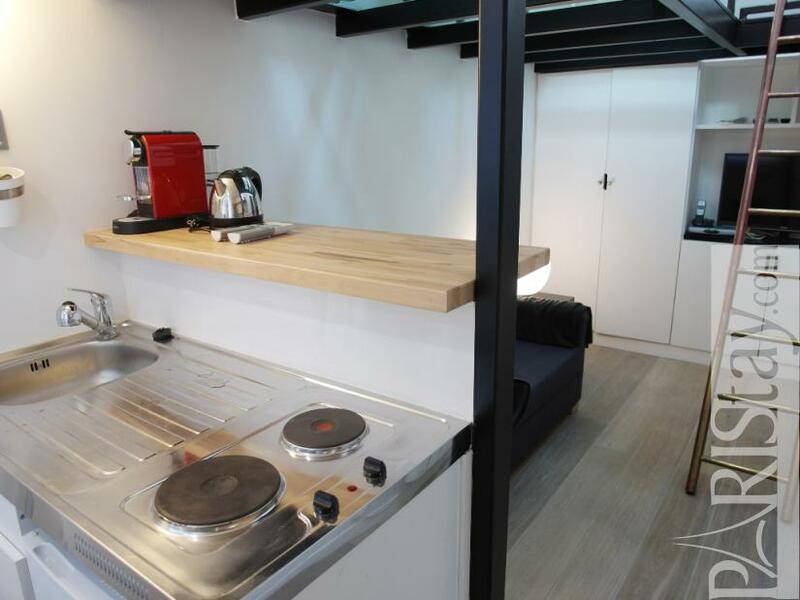 A fully equipped kitchen area and an extra sofa bed. 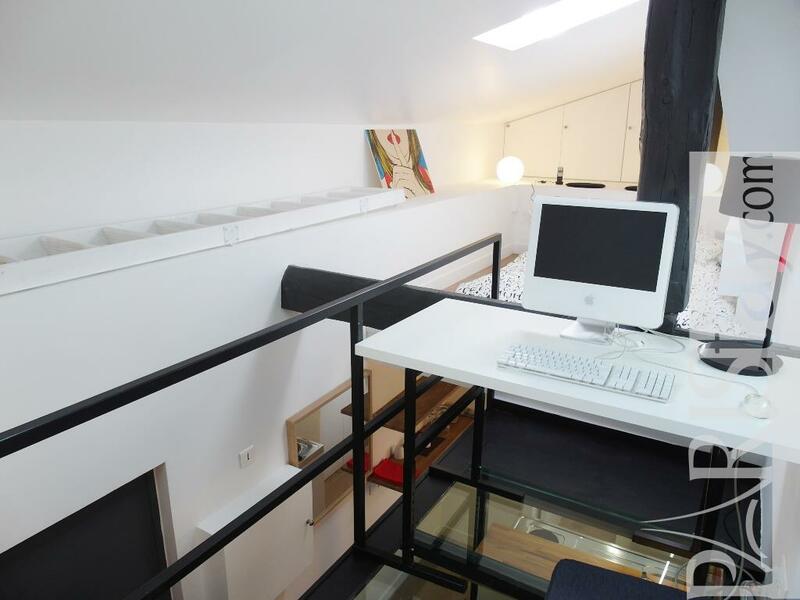 There is a sleeping area and an office area on the mezzanine. It is located on the 6th floor without lift. 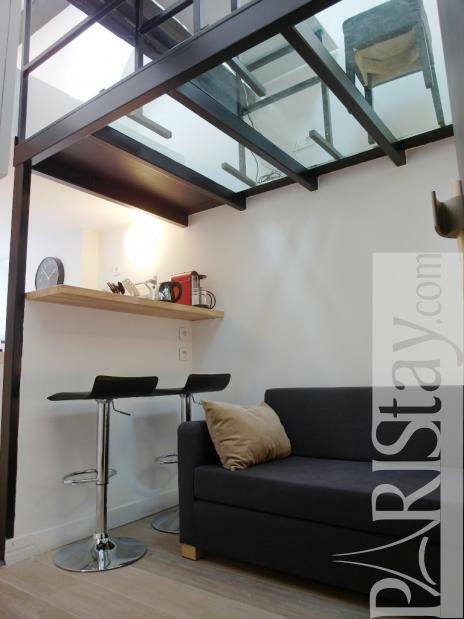 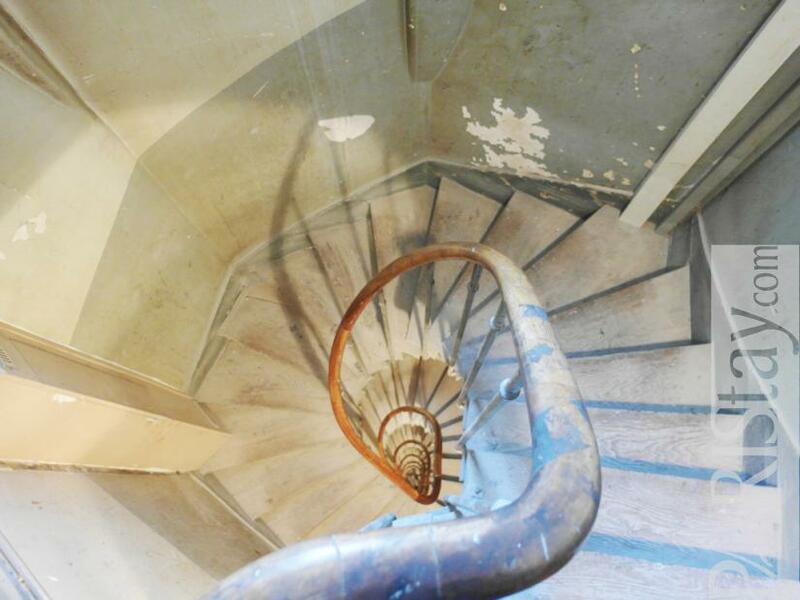 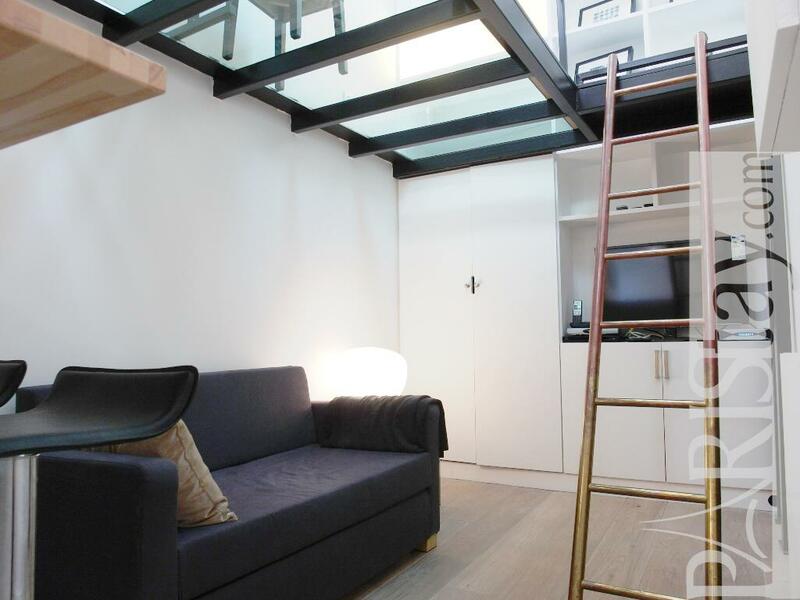 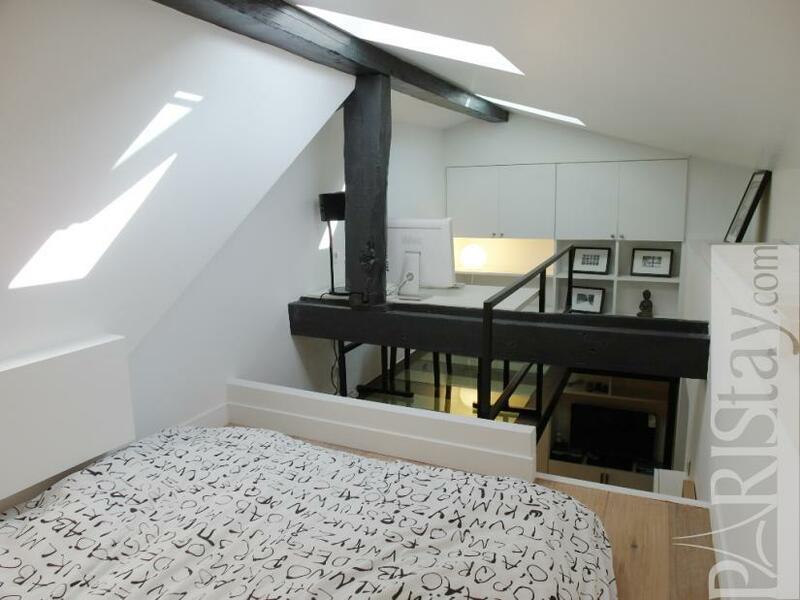 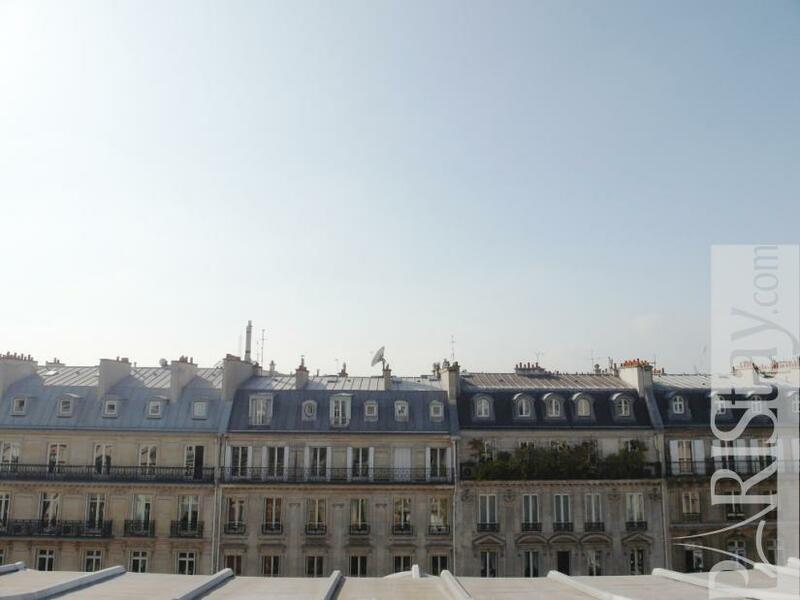 Ideal long term Paris apartment rentals. 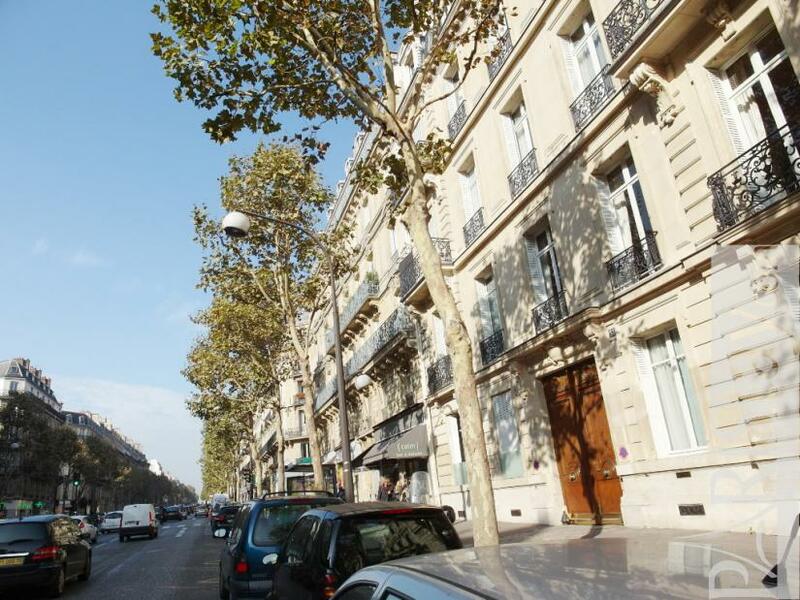 Haussmanian building in a safe and excellent location and neighborhood. 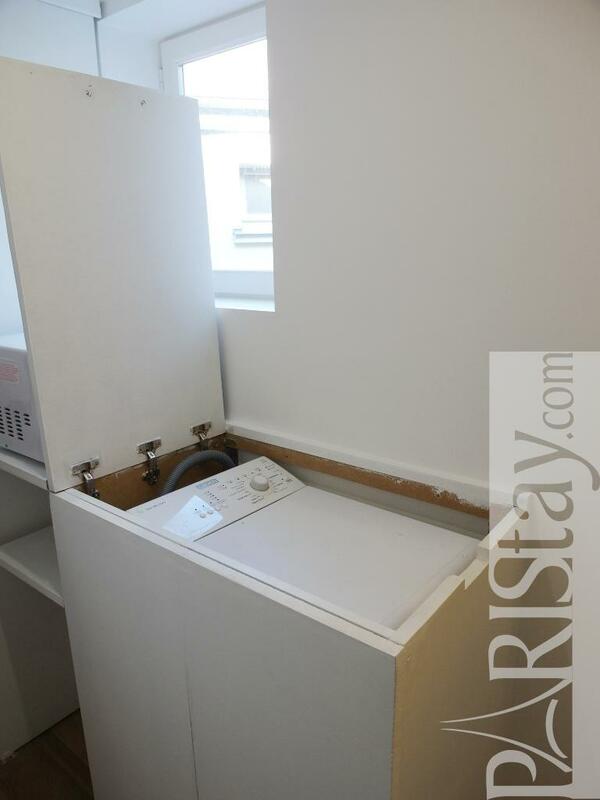 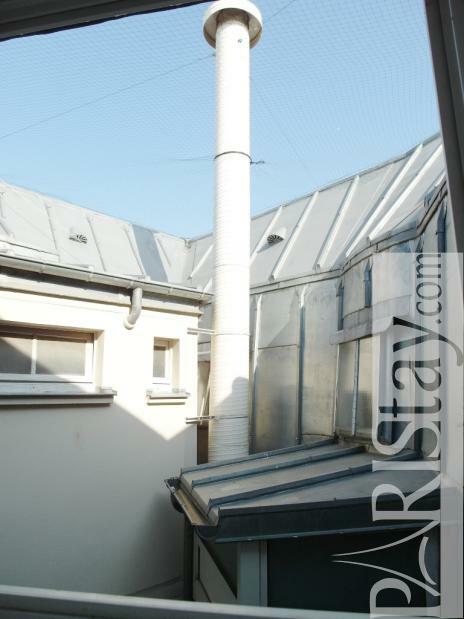 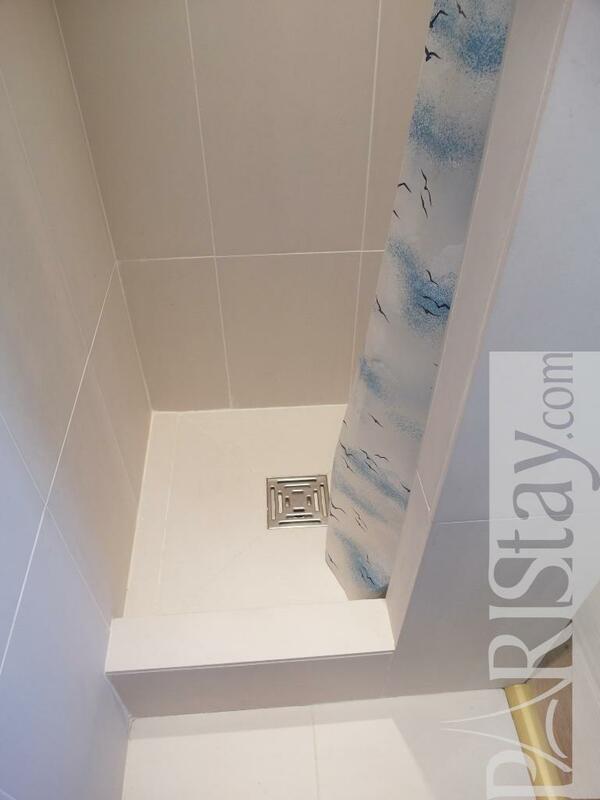 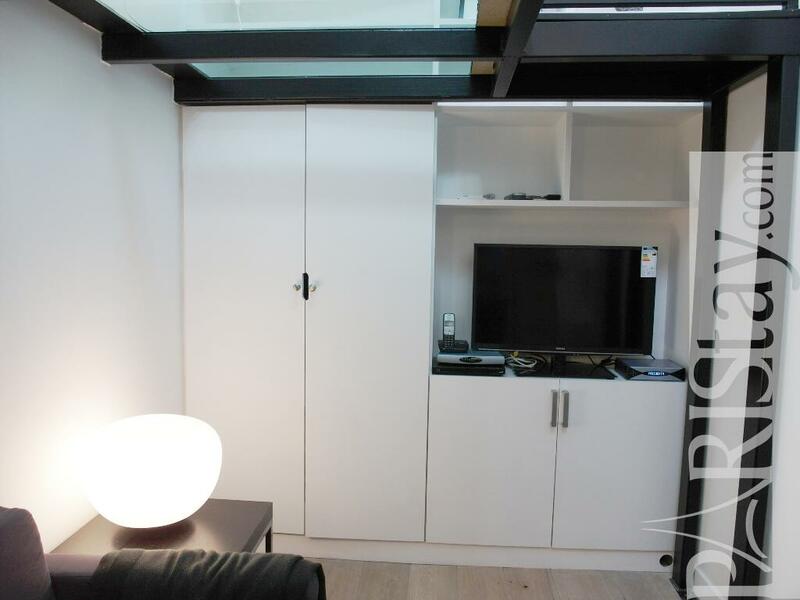 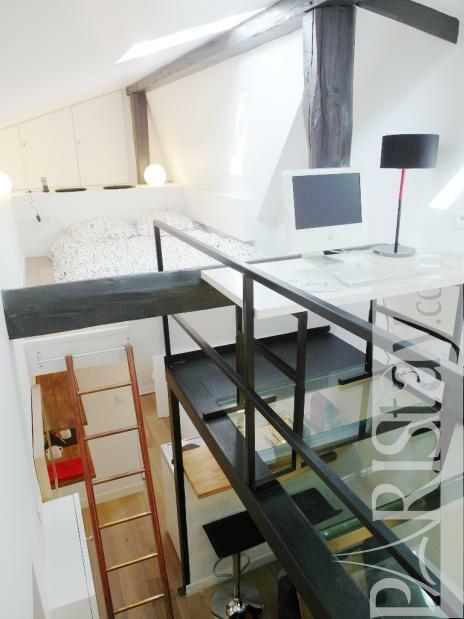 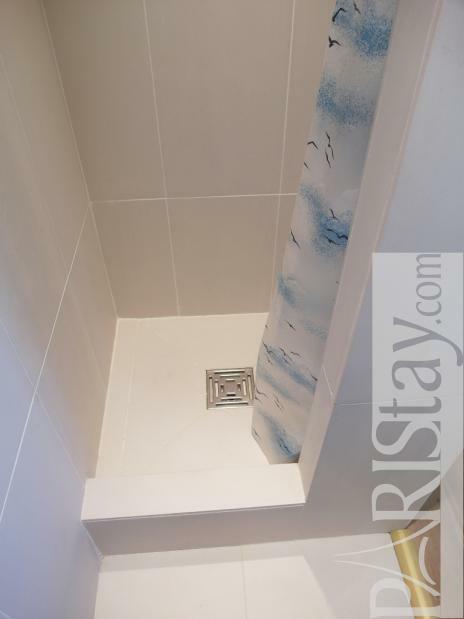 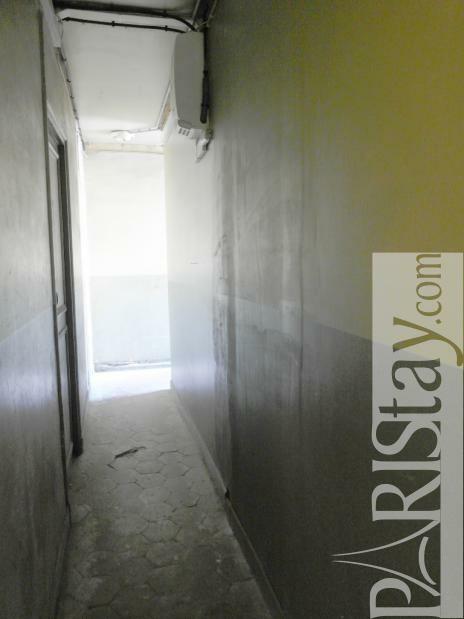 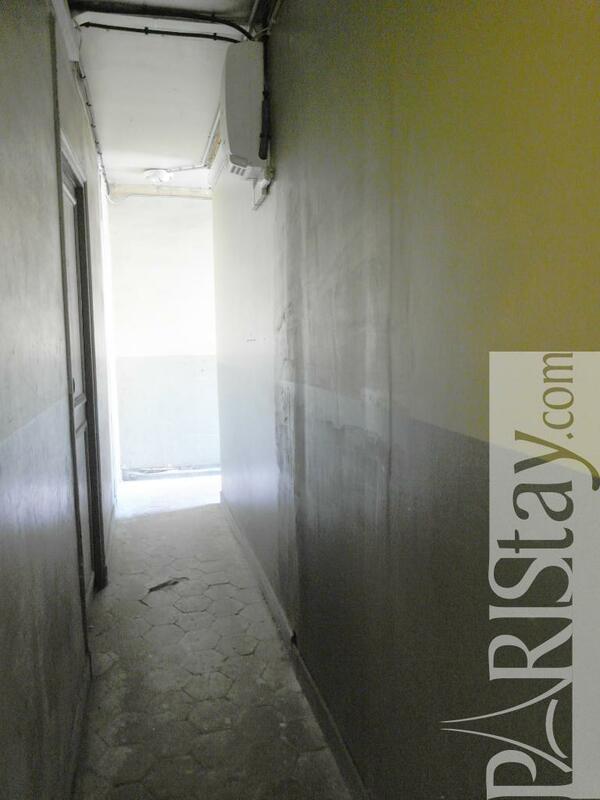 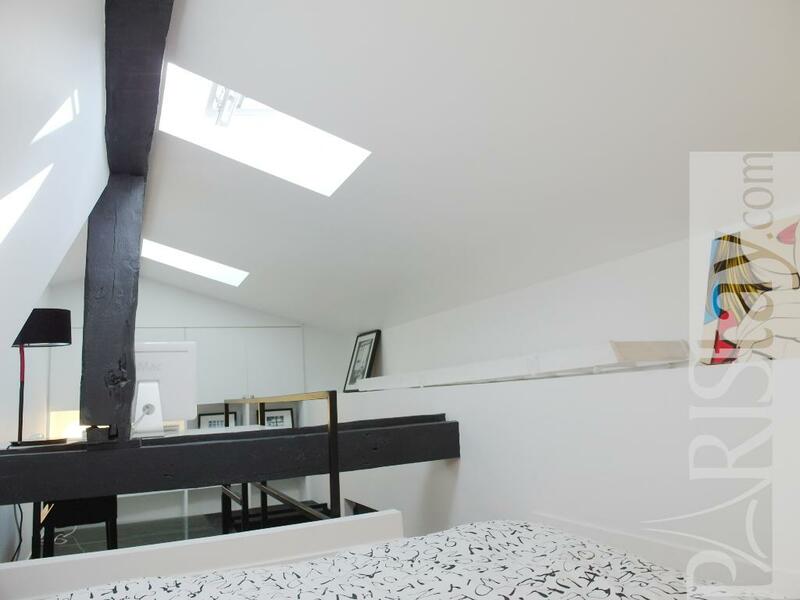 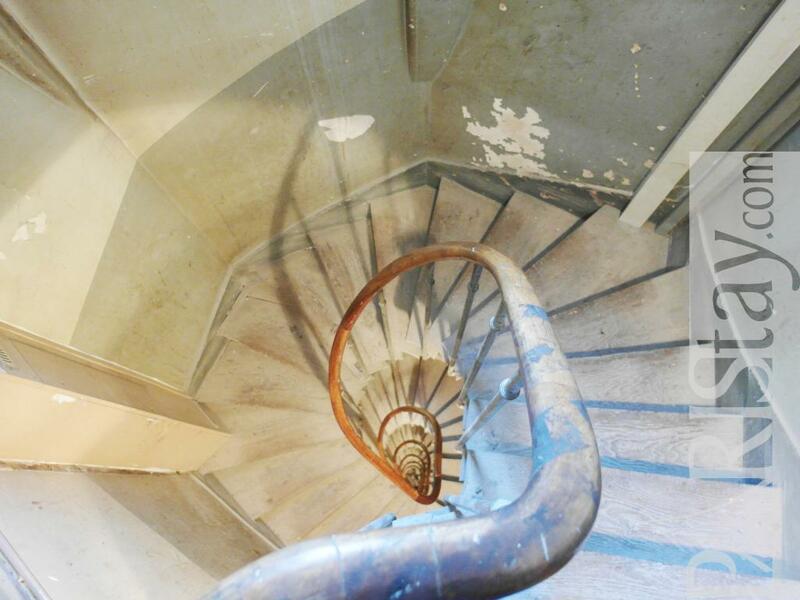 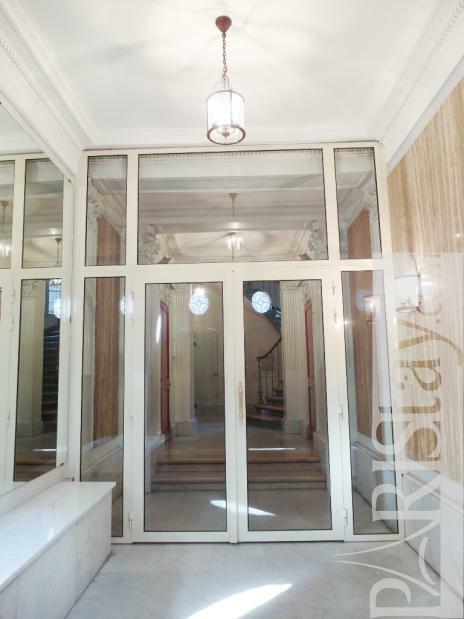 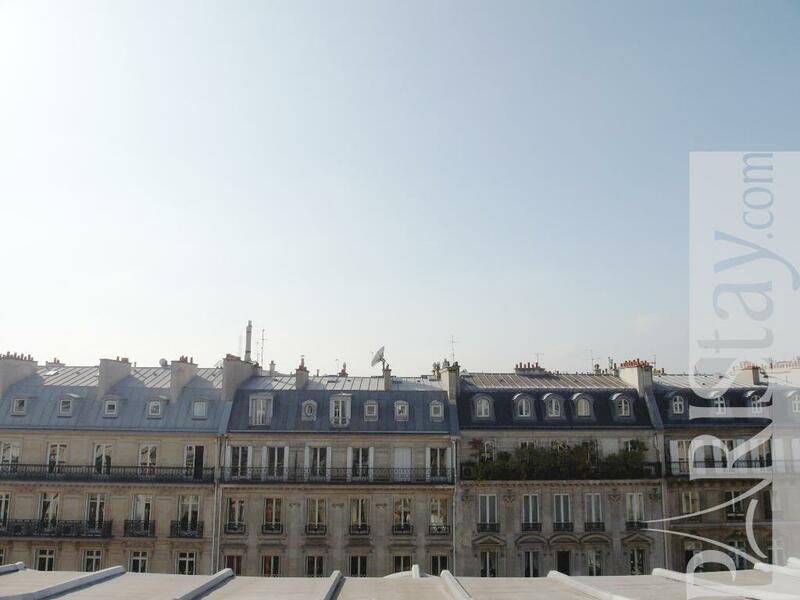 1880's Building, 6 rd floor, without Lift, entry code security system, Student studio Appartement, furnished, Approx: 19m² / 204 Sq.Ft.